Partners of the EU-funded project Cultural Heritage Counts for Europe have recently published the main findings and strategic recommendations for tapping into heritage’s full potential by providing compelling evidence of the value of cultural heritage and its impact on Europe’s economy, culture, society and the environment. The project’s findings and final report were presented at the concluding conference held on 12 June at the University of Oslo and organised in conjunction with the Europa Nostra’s Annual Congress 2015. Key findings in the report show how adopting a holistic approach is an added value when measuring the impact of cultural heritage on employment, identity, regional attractiveness, creativity and innovation, economic contribution, climate change, quality of life, education and lifelong learning, and social cohesion. In the report’s Executive Summary and Strategic Recommendations, the Steering Committee of the “Cultural Heritage Counts for Europe” project calls for the elaboration of specific “heritage indicators” to facilitate and improve the collection of cultural statistics which are key to support policy makers in evidence-based policy making; for the holistic impact assessment to be conducted as a requirement in all EU-funded heritage projects to better measure impact and monitor trends over a longer period of time. 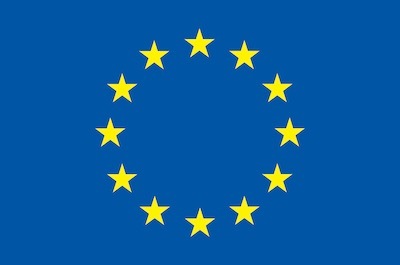 The Steering Committee also asks EU Institutions and its Member States at all levels of governance to integrate the care, protection and proper use of heritage in all related policies, programmes and actions and to include all stakeholders and civil society in developing strategies and policies for cultural heritage. Last but not least, it calls for the recognition of heritage’s positive contribution to regional and local sustainable development in the context of the mid-term review of the Structural Funds (in 2016-2017) and the preparation for the next generation of Structural Funds beyond 2020. “All available evidence confirms that heritage is a strategic resource for a sustainable Europe. We need to enhance our policy action at all levels. It is time to develop a truly integrated approach to heritage, maximising the impact of heritage policies on the local economy and society. This is one of my priorities,” said Tibor Navracsics, European Commissioner for Education, Culture, Youth and Sport speaking at the launch of the CHCFE’s final report. “Now that the report is available the challenge is to oppose both the radicalism of academic research, sometimes divorced from reality, and the exploitation of research, for political ends. The objective of our joint work is to provide policy makers with the analysis of a situation to inspire their decisions. Once this option is taken, it should support cooperation between researchers and actors of the heritage sector,” stated Prof. Claire Giraud-Labalte, Chair of the ENCATC Thematic Area “Understanding Heritage”, and member of the Steering Committee of “Cultural Heritage Counts for Europe”. In addition to the key findings and strategic recommendations, the nearly 300-page report provides a snapshot of the currently available and accessible data within EU Members States on the wide-ranging impacts of cultural heritage in Europe. Furthermore, the report’s publication release builds on the momentum of policy makers recognising the potential of Europe’s cultural heritage, most recently with the 6th Conference of Ministers responsible for Heritage organised under the Belgian Chairmanship of the Council of Europe (April 2015), but also the Horizon 2020 Expert Group on Cultural Heritage report Getting cultural heritage to work (April 2015), the Conclusions on Participatory Governance of Cultural Heritage (November 2014) the Communication Towards on Integrated Approach to Cultural Heritage for Europe (July 2014), and the Conclusions on Cultural Heritage as a Strategic Resource for a Sustainable Europe (May 2014). The two-year “Cultural Heritage Counts for Europe” project, supported by the EU Culture Programme (2007—2013), was launched in July 2013 by a consortium of six partners — Europa Nostra (acting as project coordinator), ENCATC (the European Network on Cultural Management and Cultural Policy Education), Heritage Europe (the European Association of Historic Towns and Regions), the International Cultural Centre (Krakow, Poland) and the Raymond Lemaire International Centre for Conservation at the University of Leuven (Belgium) — acting as partners, as well as The Heritage Alliance (England, UK) as associate partner.